A bitter Francisco Rodriguez faced the press after its side’s narrow loss to Real Valladolid. Both clubs are fighting for survival and the newly promoted Almeria made it easy for their opponent to score the 3 crucial points. Almeria’s previous performances were short of being impressive. The squad has been trying to thrive with 3 losses, a draw and a crucial win against Real Sociedad. So far, the points they have incurred from the victory and a stalemate have managed to keep them safe from the relegation zone. But this does not immediately indicate their survival for the next season. Sitting on the 17th spot, there is still, a huge possibility for them to hit the rock bottom part of the table should they fail to feature and impress in their next matches. 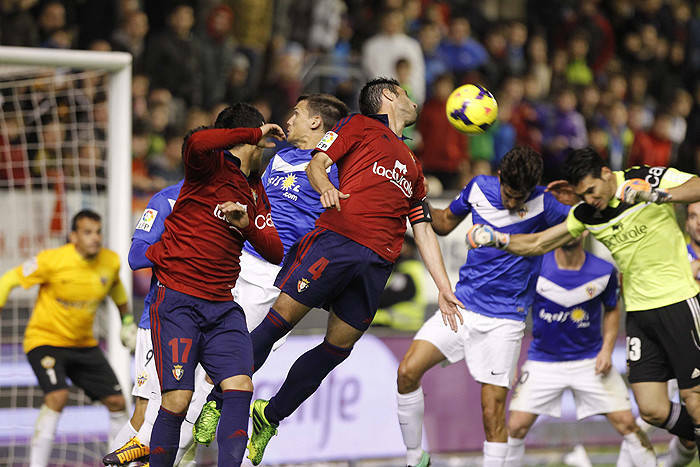 Almeria’s next test is against Osasuna, which, like them is also struggling to leave the relegation zone. Both of them have 30 points and the only thing that separates them is their goal difference. While it is true that Osasuna has only managed to come up with a draw against Real Sociedad, the mere fact that they put up a great performance against a much better squad, was already enough to give them a confidence boost. Osasuna’s present team form is worse than that of Almeria. They are winless in their last 6 matches, but perhaps they would disregard this for now and use their renewed confidence to their advantage. Almeria may have conceded an average of 2 goals during its last 3 home matches, but they remain as the top pick of sports betting site, 12BET. Other than having a better rank and team form, Almeria’s edge also stems from the fact that Osasuna was not that successful in their last 3 matches and has been scoreless in its last 4 encounters. Almeria is pegged to win at a decent value of 2.38.